See Ben Rubin describe his work. In college at Brown University, Ben Rubin had an odd nighttime ritual. He would hook himself up to an old polysomnography machine, a refrigerator-size device that clinics use to diagnose sleep disorders. He wanted to create a wearable alarm clock that would measure brain activity and wake the user in an optimal phase of light sleep. Before he graduated, Rubin cofounded a company called Zeo, and in 2009 it began selling the first consumer device that detects the user's phase of sleep. 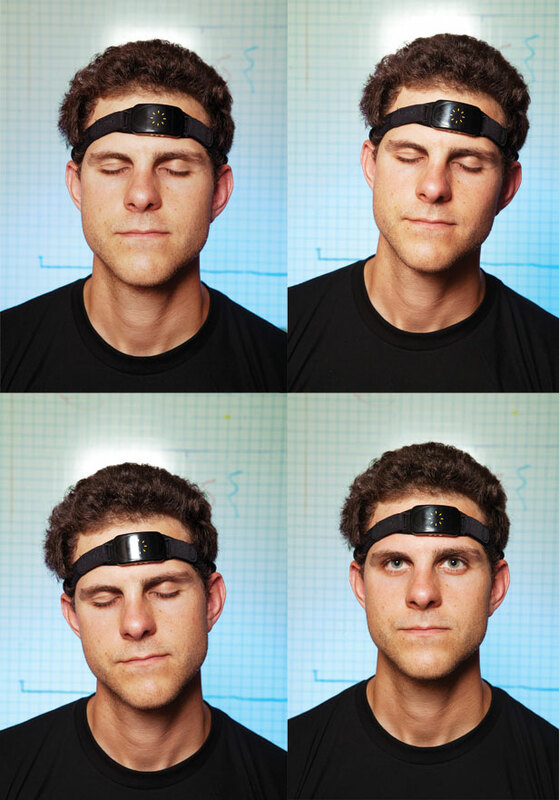 The $200 device consists of a fabric headband with embedded sensors that pick up electrical signals from the brain and send them throughout the night to a base-station clock next to the bed. In the morning, the clock displays the amount of time spent in light, deep, and REM sleep; the number of awakenings during the night; and a score that incorporates all these values into a single number. Accompanying software provides suggestions to improve sleep quality, and users can further explore their sleep data on Zeo's website. Sounds like a wonderful product that has potential to help many people. I think with our highly stressed lifestyles and diet can lead to people snoring or even developing sleep apnea. Having a tool like this may help others sort through the options if they have snoring to stop it can be definitely easier than dealing with a sleep lab though not sure how this device would function in that regard. All the best.